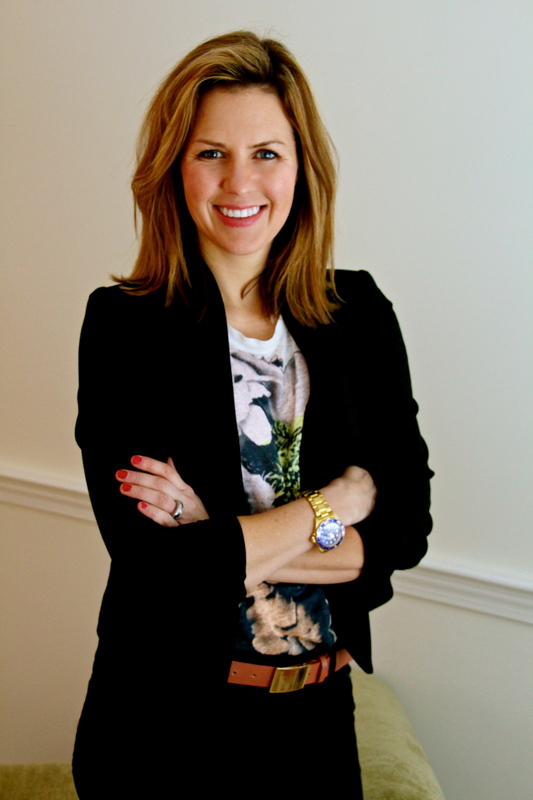 Check out our newest Featured Mama, Catherine McCavanagh, Owner/Founder of The Honest Eye! 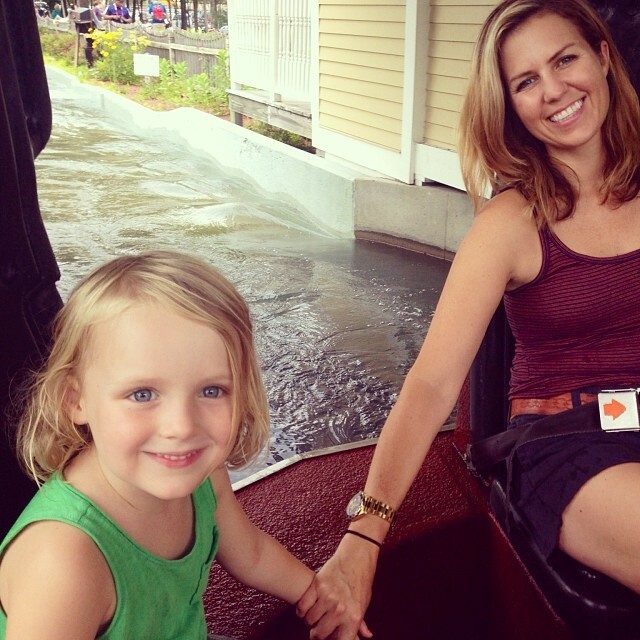 Meet Catherine McCavanagh… A 37 year old wife and mother of 2 children (Jane, 4 years old and Walter, 2 years old). I own an Image Consultant/Personal Shopping business called The Honest Eye. I recently started my business and have been doing it for the past year and a half. I have always shopped for friends and family, but recently decided to make it more official, giving it a name and a website, The Honest Eye! Balancing the time I devote to my business and the time I want to spend with my husband and children. I realize my kids are only going to be these young ages for so long so I don’t want that time to slip away but I also am so passionate about my business and I want to devote my energies to it. It’s a common case of not enough hours in the day! The most rewarding thing about being a working mother is having something for myself. Being home with children full time can be very draining as in you are giving, giving, and giving, and rarely is anyone looking out for you. My essential ‘must have’ is my mother! I am so blessed to have her close by. She is retired and is able to help me as much as needed. I realize that most working moms don’t have this luxury so I feel very blessed in that department. I also have a very supportive husband who pushes me to do my thing and will pick up the slack wherever needed. I have two children – Jane, 5 years old and Walter 2 years old. Jane is spunky, artistic, very independent, and absolutely loves animals, from worms to horses and everything in between. Walter is more on the cautious side, checking something out from all angles before jumping in. He loves the typical boy things, like cars, trucks, bugs, and balls. Jane and Walter are so in love with each other, not to say though I don’t have to break up a hair pulling fight on a daily basis! My husband Patrick is a wonderful husband and father. Playing with balls and trucks comes easier to him, but he tries so hard to give the same amount of time to Jane with her dolls, animal figurines, and art projects. Along with having a full time career in media sales he also coaches lacrosse for various local teams. I try to stay organized by writing everything down in both my calendar at home as well as putting it into my phone. On Sundays I take a look at the week ahead and try to tie up any loose ends. I try not to over commit to activities for the family because I think it gets to the point where the kids don’t appreciate it anymore and the parents end up resenting it. Along with playschool and preschool for the kids I sign them up for one activity at a time, whether it be swimming, art, nature camp, whatever I think they’re strongest interest is at the time. I can tend to be a worrier but have gotten much better in the past few years. As long as I am giving my family a healthy amount of attention, and that everyone is healthy and happy, I will not stress about material things or trying to do too much at once. I try to have a bit of ‘me’ time every single day. Whether it is going to pilates for an hour (I put the kids in the day care at the gym), or it’s taking a half hour to read the latest Vogue when my husband gets home from work. He will look at me sometimes when I am feeling worn down and say ‘go upstairs and take a bath’ – he knows it’s not good for anyone in the family if I don’t have some alone time! I am definitely the personality type that needs some quiet time without anyone around. As far as seeing friends, I try my best to not let slip through the cracks. It is a challenge though since we are all trying to raise families, and we all have different schedules, it’s so exciting though when we can nail down a date to catch up. It’s a cheesy saying but it’s true that it’s food for my soul. My favorite personal activities are reading, exercising, and although cliché, shopping. I wish I could paint more. I’m not the best at it, but I love the feeling of creating something that has an actual end product. I find it cathartic and rewarding. I find inspiration everywhere; women and teenagers on the street, books and magazines, and historical trendsetters like Jackie O and Lauren Hutton. My essential must have for myself is fashion and décor magazines – I absolutely devour them every night before bed. My iphone is pretty essential as well. I held out for a while before I got one, but now don’t know what I would do without it. My challenges are keeping our house intact. I never feel like everything is as organized or clean as I would like it to be. I am constantly 3 loads of laundry behind. half the time the beds are unmade and toys are strewn all over our floors. I realize things won’t be this way forever and I try not to be too hard on myself. My kids don’t notice a messy house and it doesn’t bother my husband when he comes home to it. Once again, I just do my best and get to it when I can. Don’t give up too quickly on working if it seems like it’s getting to be too much of a juggle. Soon enough the kids will be in school for longer periods of time, and you will be grateful that you have kept your foot in the work door. It’s so much harder to get break back in the longer you wait. I don’t feel like I am the right person to be giving other working mothers tips. I am trying to figure it out myself, as I was home with my kids for a few years. I am now back in the game and unfortunately learning by trial and error. The only tip I can give is to try not to be too hard on yourself. Just listen to your gut and keep plugging along, everything is happening for a reason. « WiLab Feature; Blissfulmamas is on a Mission to Bring You Work-Life Balance and Bliss!